The power cord is perhaps the nicest power cord I’ve ever seen for any product. The cable is covered with a nice fabric, and it’s very supple. For all the praise heaped on Apple this week, the one bit that’s near-universal is the HomePod’s high marks for sound quality. Reddit even compared it with the KEF X300A — one of the top speakers you can buy under $1,000. But is it the best speaker in its price range? Well, maybe not. Apple did a smart thing in controlling the test environment for HomePod. Before giving journalists their review units, Apple invited them to a listening session in a mockup of an apartment. The PR person switched playback between the HomePod and three other devices: Sonos One ($200), Amazon Echo Plus ($150), and Google Home Max ($400). In side-by-side comparisons, the HomePod came out aces, and it was near-unanimous. But when tech journalist David Pogue held his own listening party, the results weren’t quite as clear. My five panelists included Darwin, a professional violinist who spends a lot of time listening to recordings on nice gear; Julie, an entrepreneur and homeowner who is precisely the target market for these speakers; Dana and Tori, high-schoolers who haven’t yet begun to lose their ability to hear high frequencies; and Rob, a sound technician for Yahoo. He then chose five songs, volume matching each for fairness with the help of a Yahoo audio technician. Each song would play for twenty seconds (with optional replays) on each of the same four devices used in Apple’s listening experiment. When the dust settled, not one of them rated Apple’s speaker as best. Two liked the Google Home Max, and three ranked Sonos as number one. So why the difference in results? Well, sound, as we all know, is subjective. Each of us is unique in the way we hear and interpret these vibrations, and as such, it’s often difficult getting a consensus “best” on anything sound-related. And then there’s Apple’s test, which *cough* may have been slightly flawed in its methodology. Apple’s representative told Pogue that each of the speakers were streaming music from a server in the next room (a Mac). But, none of the speakers were connected in the same way. 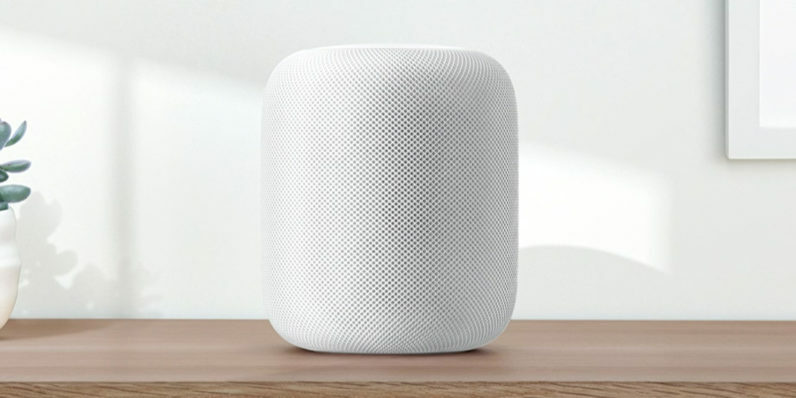 The Echo used Bluetooth (which may degrade music before transmission); Sonos used Ethernet, Google Home Max used an input miniplug, and HomePod used Apple’s proprietary Wi-Fi-based transmission system, AirPlay. Not exactly Apples to Apples, uh, Apple.